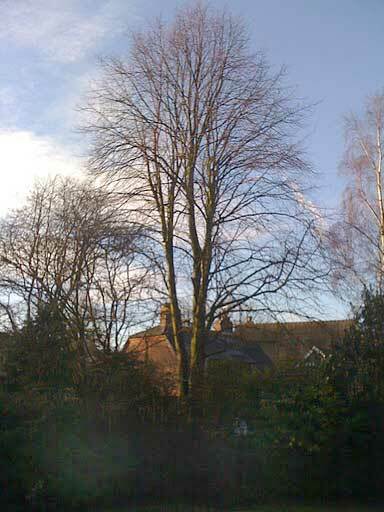 This beech tree in Chorlton had been pollarded over 30 years ago. 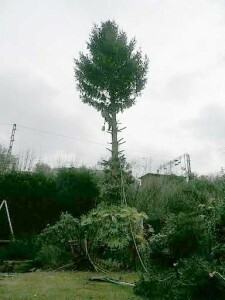 The new growth had developed into a substantial crown that was completely over-shadowing several small gardens below. The neighbours all agreed that they would like the crown brought down to a manageable size that would let more light into all their gardens. 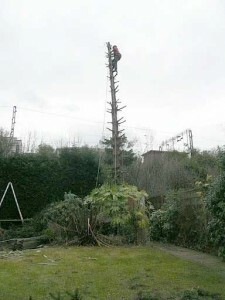 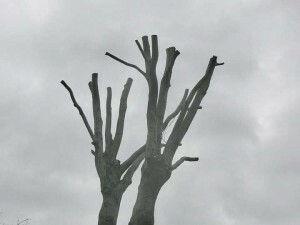 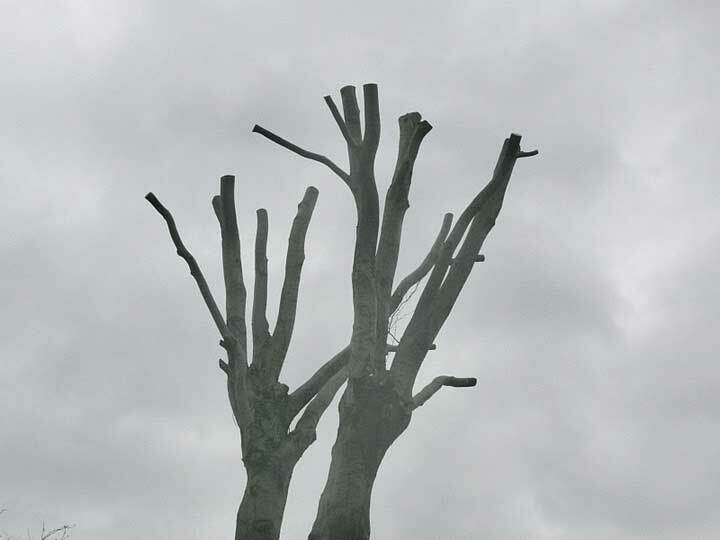 The tree was pollarded less severely than the previous time and several forks were left to allow access to the crown that would develop in the future, keeping it manageable. 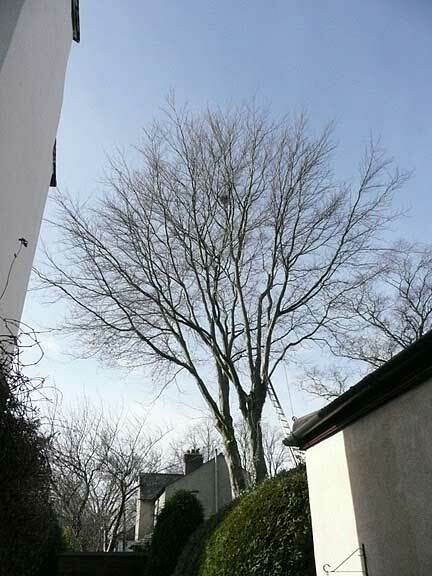 This tall lime tree at the end of the garden was blocking out light and becoming too large for its surrounding location so a height reduction by drop crotching was done to maintain a natural looking shape whilst allowing more light into the garden. 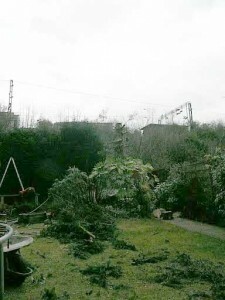 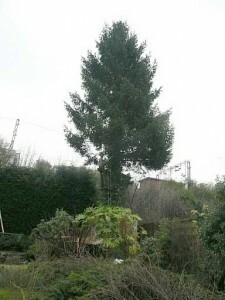 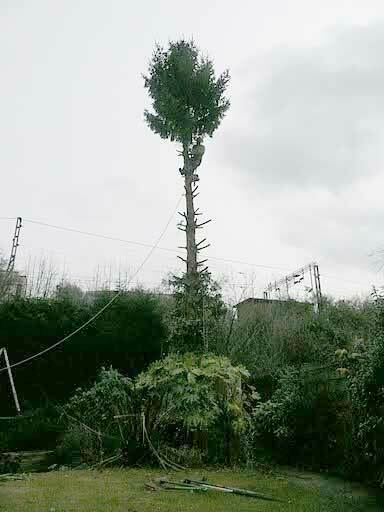 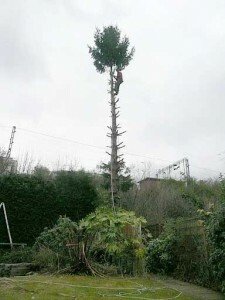 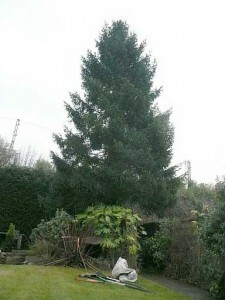 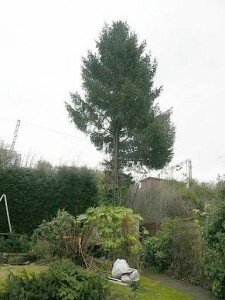 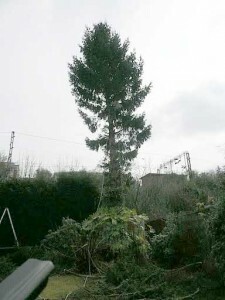 This Norway Spruce was used as a Christmas tree, then planted in the back of the garden 19 years ago. After growing gradually in its first 10 years it grew at a great rate and put on about 1 1/2″ in diameter every year for the last 9 years. It was time to take it down before it got unmanageable. 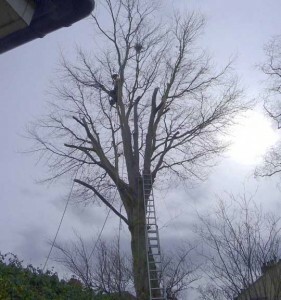 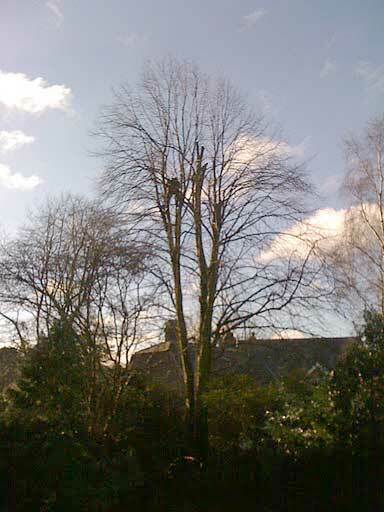 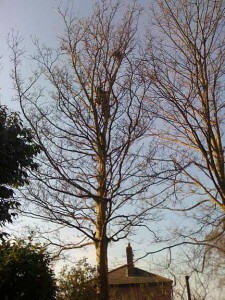 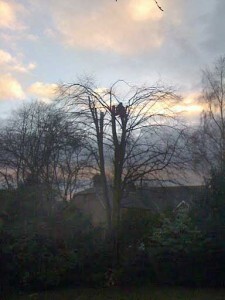 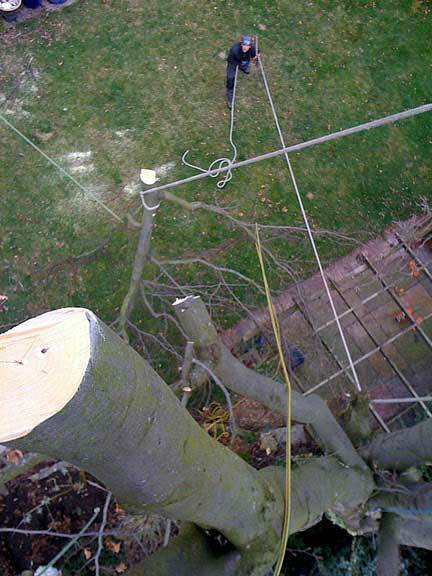 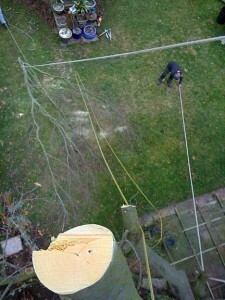 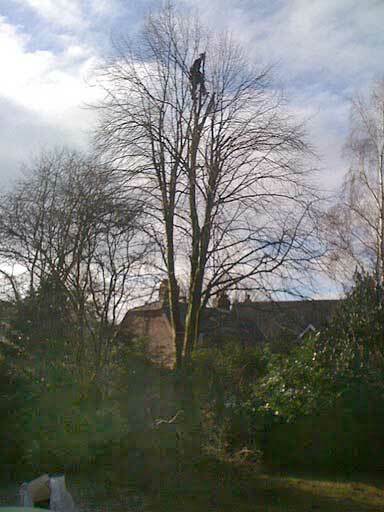 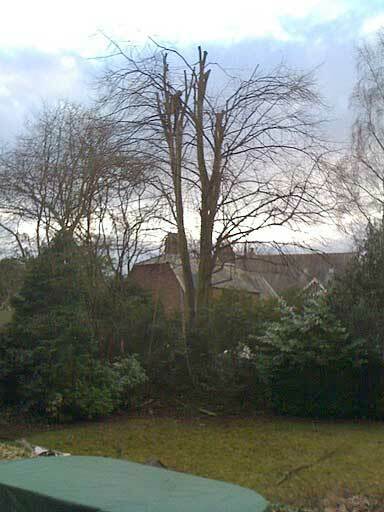 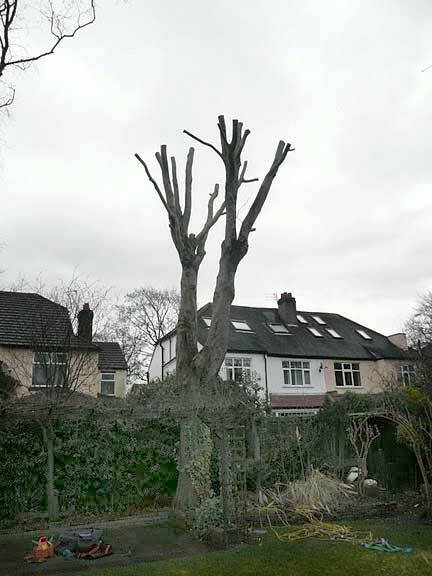 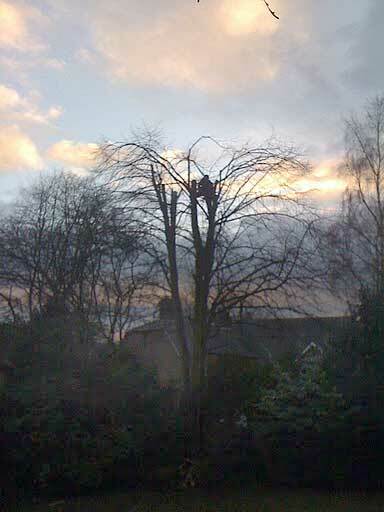 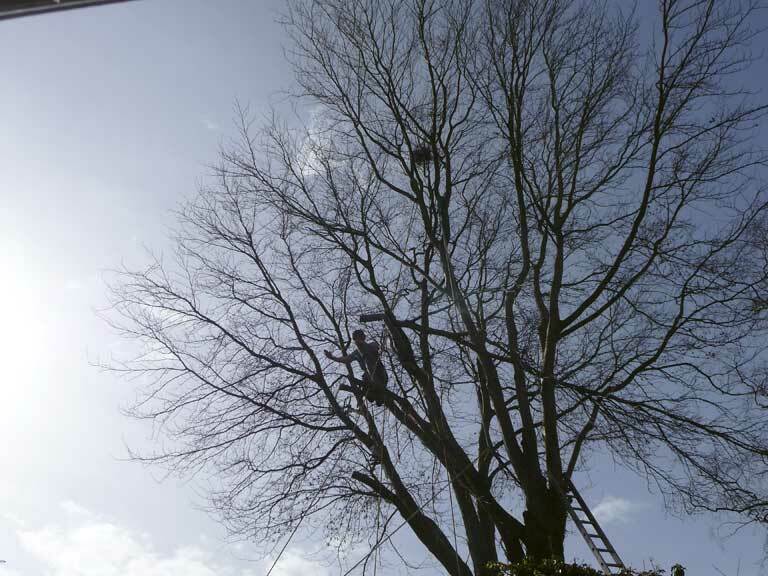 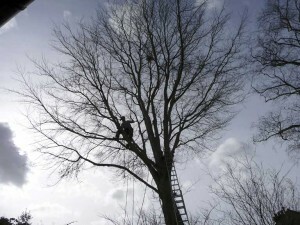 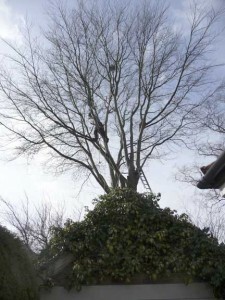 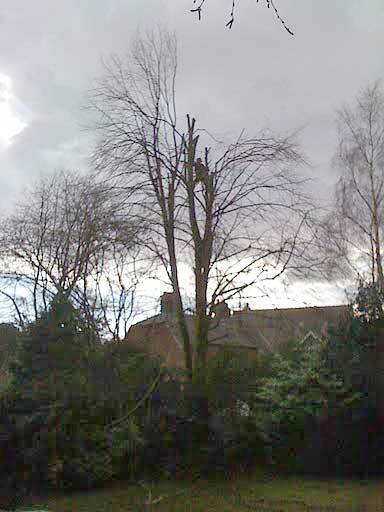 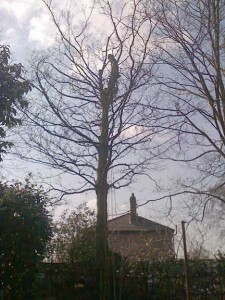 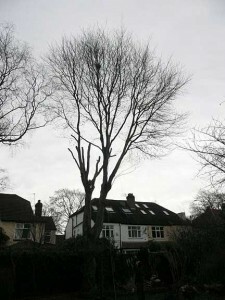 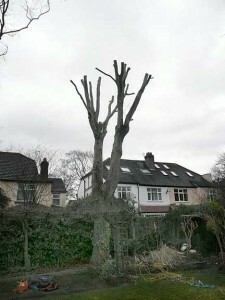 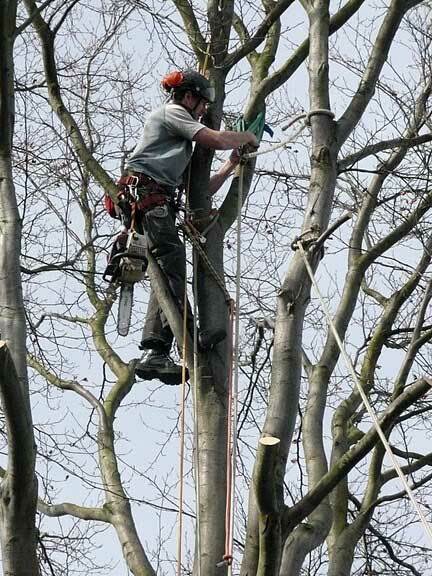 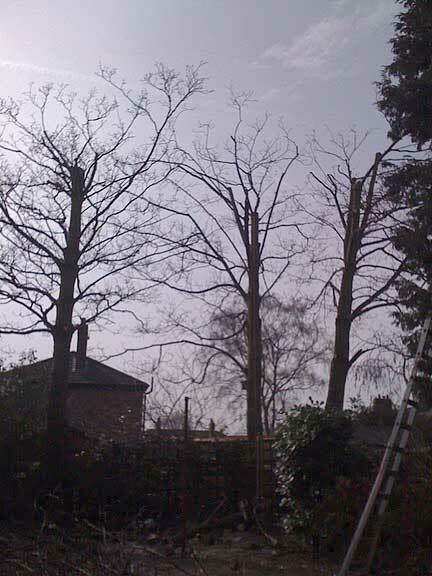 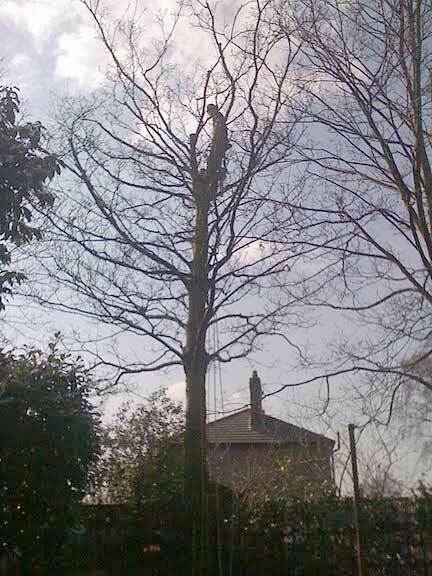 The first sycamore is successfully reduced whilst maintaining a natural looking form. 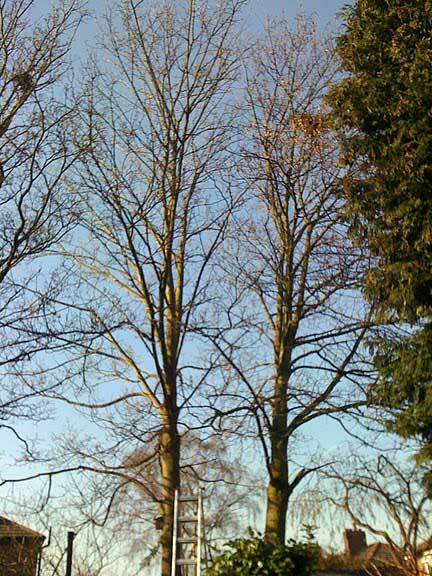 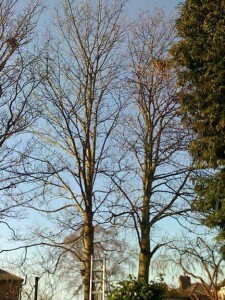 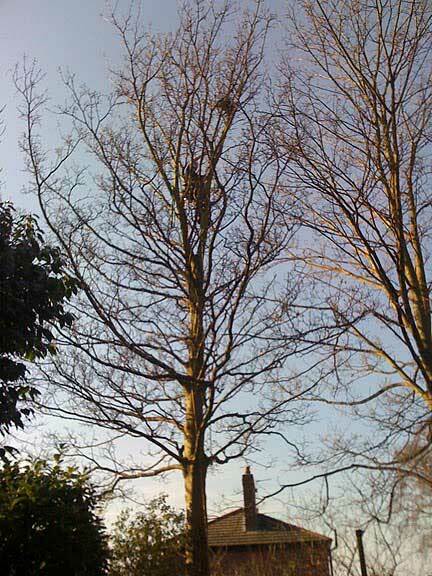 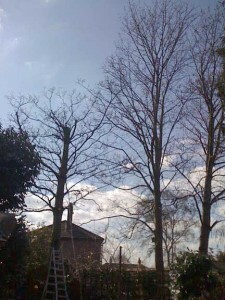 All three sycamores have been reduced to the same height. 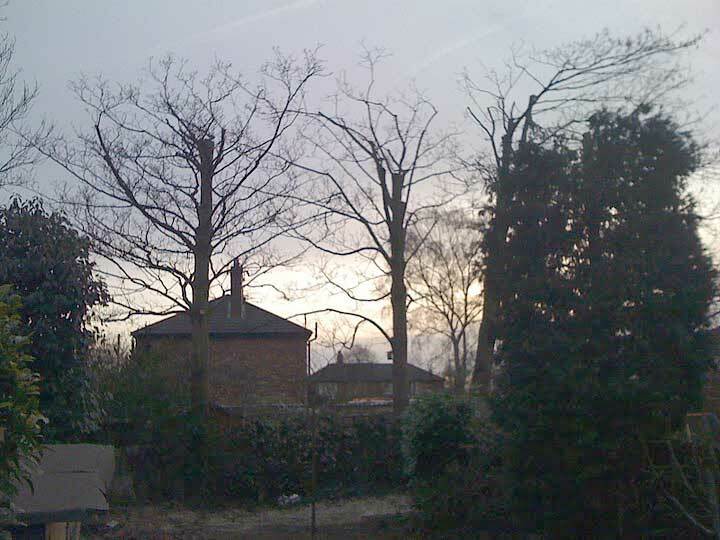 The three sycamores reduced and the conifer in the foreground topped.